When / How you started with Opera? First you explain what is the meaning of this list and its items? I guess they are options to say how did you discover about Opera. So 1 would mean that you knew Opera from someone in your family. Well it's just to know that, how did you hear about Opera and your start with the Browser. It a way to know about the forums users and his first steps with Opera. A brother in law told me about Opera around 2004, so since then I use Opera. Installed in every device I have / had or used / use at work. I've started using Opera in version 3.5x sometime around the end of the 1990's. I first heard of Opera in a newspaper article about alternative browsers if I remember correctly. I don't remember: it was dark, it was Russia. Late '90s. Opera 3.62 or thereabouts, from an online news article (one of the tech websites). Then in 2000, when I started working with Linux, the version I bought in the store (yes, back then Red Hat and Mandrake were available in certain retailers) included Opera on a supplemental disk. (The "Power Pack" edition of Mandrake 7.0 came on 7 CDs, two of which were strictly third-party software.) As Opera worked better than either Netscape or Konqueror, it quickly became my default Linux browser. Though in Windows, other software I had required IE, so until they started work on Opera 7 I was still only using Opera on Linux. I didn't have a computer till 201something. I didn't have a cellphone till ~2004. I didn't have a cellphone with Internet capability till 2005~2006. Then I had a Motorola with a dial-up access to wap sites. Then I bought a phone or two with a GPRS thingy. Then I wanted or needed to access sites not only wap but web/www. And somewhere there was an offer: a light Java application, on a Russian site to download - with some bundles or not, an appication that could make my PHONE to access not only wap-sites, apart that its compressing capability made it feasible. 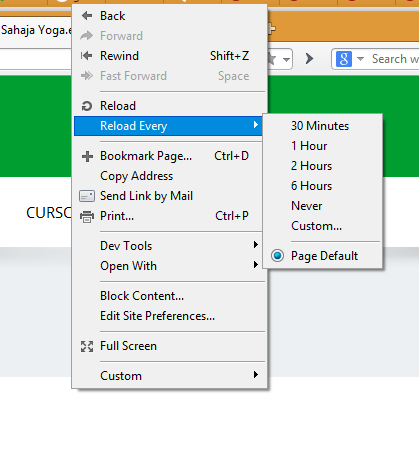 Does anybody knows about to auto reload a page in a certain period of time? I used to use Netscape 4 as I thought it was a much better browser than Internet Explorer 5/6, and then they introduced this wonderful thing called "tabbed browsing" with Netscape 6, which was an absolute disaster browser in every other respect. They fixed most of the problems with Netscape 7, but by then it was too late. I and many others had started looking elsewhere, and I came across Opera just as it was becoming a free browser. I think it was version 6, but I'm not 100% sure about that, it was a long time ago! My main browser is increasingly Firefox though, which I'd always had on the machine for website testing purposes, but never used seriously. For you guys who are veterans of the forums and have been using Opera for years. What do you think makes it better then other browsers? since late 90s with opera 3.5 until now with opera 12 beside other browsers. opera mini since ca 2006 on j2me dumbphones, various nokia symbians and now 'droids. And how did you know about Opera? How was your first impression on using it?